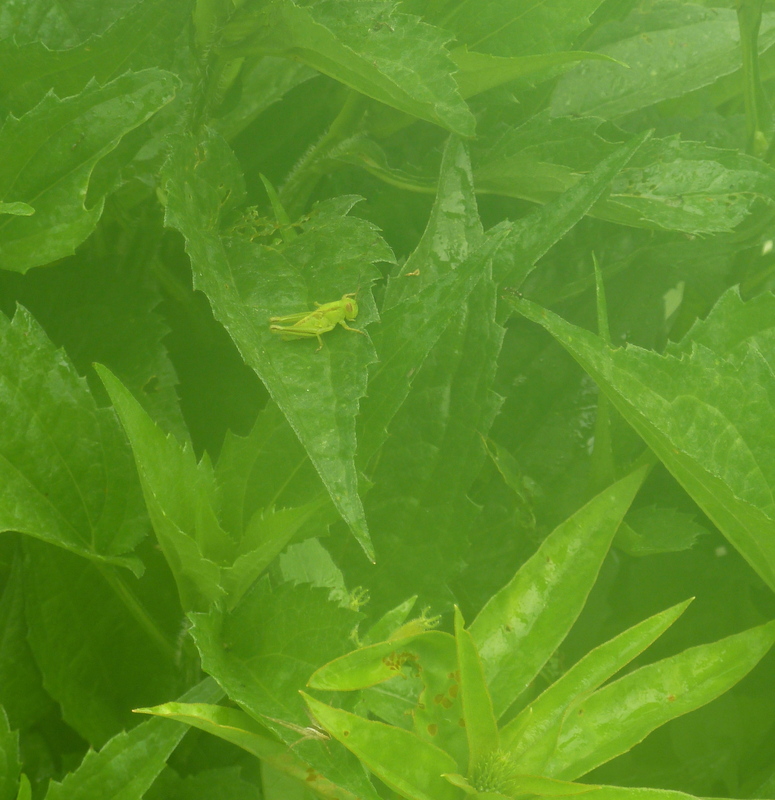 Here are some critters I’ve found eating the garden, or eating in it. 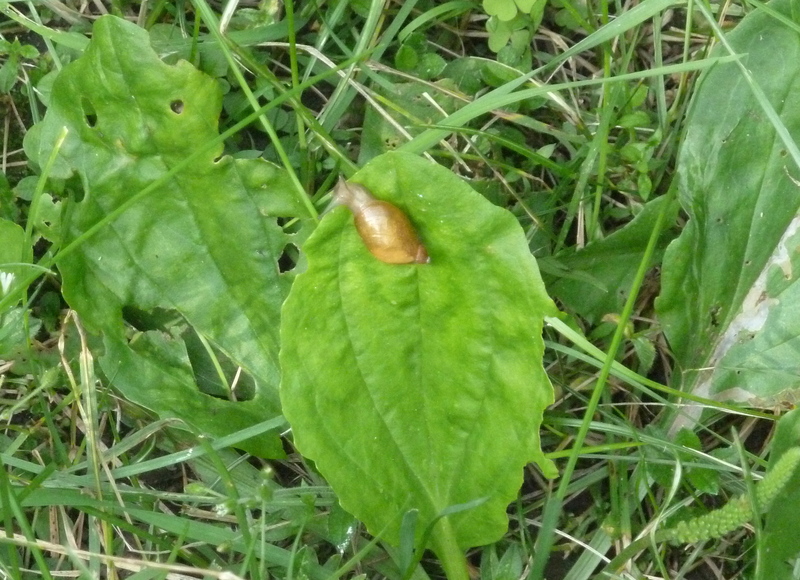 At least this snail was eating weeds. Its buddies have been gorging on my perennials and beans. 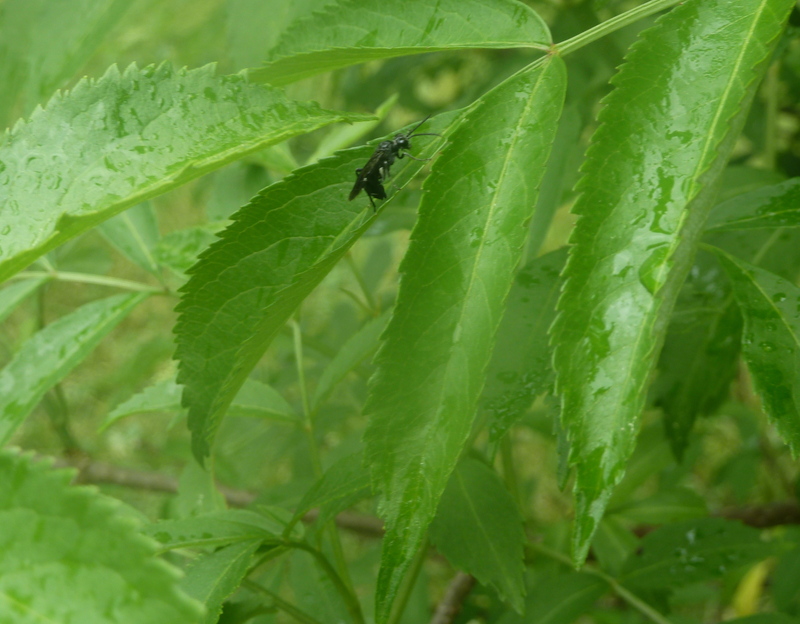 A bug visiting the elder. 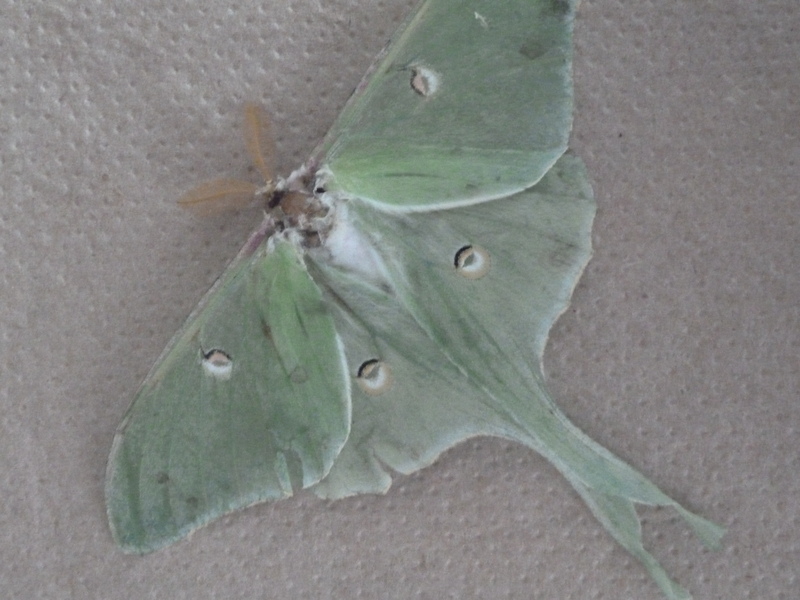 I found this luna moth by the steps one morning after I had left the light on all night. Strangely, its body had not been eaten. It’s a complete moth. Even its antennae are intact. 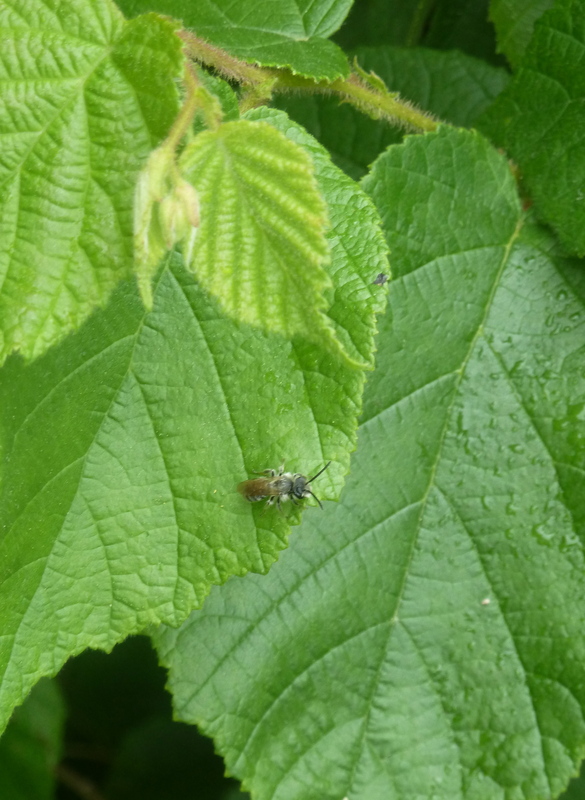 A little bug on the hazelnut bush. This entry was posted in nonedibles and tagged bugs, critters. Bookmark the permalink.